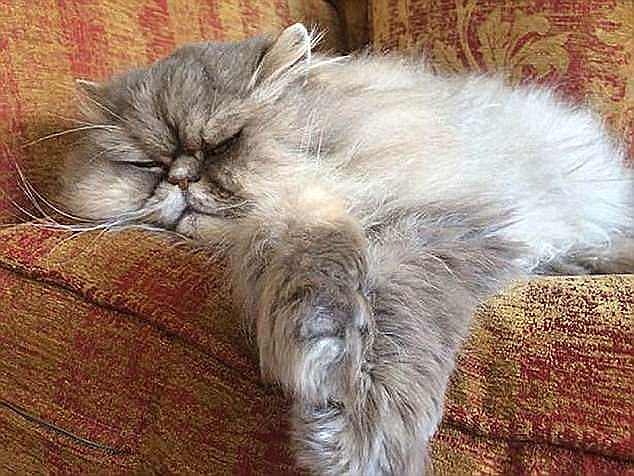 A 31-year-old man has been arrested in connection with a spate of gruesome cat deaths - in which five mutilated bodies were found around Northampton over Christmas. The man was detained in connection with cat mutilations and arsons in the Duston area and also offences in Kingsley Park, police said. The five cats from Northampton were all dismembered in a similar way - with their heads cut off. The man has been released under investigation. Officers have called for anyone with information to come forward. 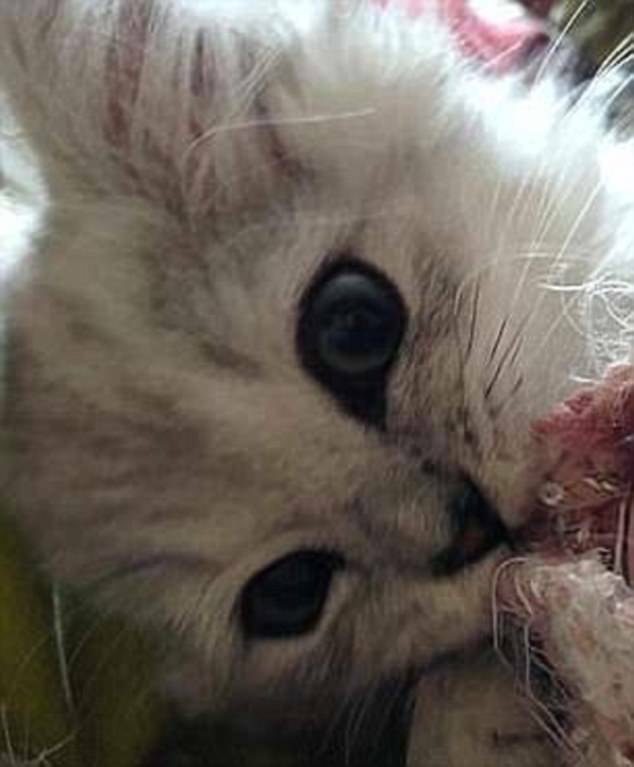 The deaths were being treated as part of a Metropolitan Police probe into several killings across England, including those by the so-called Croydon Cat Killer. 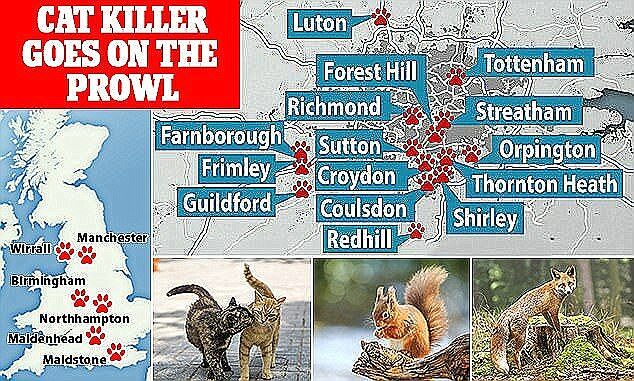 The killer, who began his reign of terror in Croydon, South London back in 2014, is believed to have killed and maimed around 400 animals around a 117-mile stretch of the M25 motorway. He is also thought to have targeted pet rabbits as well as wild deer, squirrels and foxes - often killing and dismembering them using a machete or garden sheers.Detectives believe the killer tempts the cats with treats before blundgeoning them to death with sharp objects. It is thought he then waits for at least 30 minutes to allow the blood to coagulate before he mutilates them, often cutting off paws, tails and heads. There is often no blood trail at the scene, leading police to believe the animals are taken away to be dismembered before the killer returns to dump their bodies back at the scene of where they were killed. The first, one-year-old Rusty, was left in a plastic bag on the owner's doorstep on August 28. The family's 14-year-old daughter made the grim discovery. Topsy, a 15-year-old, went missing after it was last seen on the driveway of its owner's home. The next morning, on September 6, the cat's mutilated remains were found stuffed inside a carrier bag and left on a path outside the house. 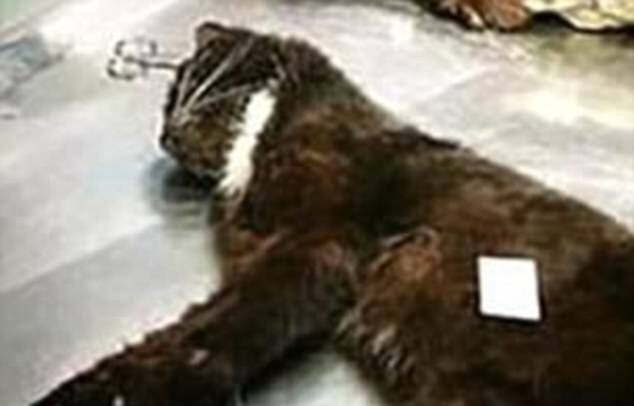 In the last case, a decapitated cat was discovered placed on top of a car near the owners' home without its head. The Met and animal charity SNARL (South Norwood Animal Rescue and Liberty) believe more than 400 animals have been killed in the same manner since 2015. The Met began investigating a series of 'gruesome' killings, which initially began in the Croydon area in 2015, after SNARL raised concerns. The force said it was 'aware' of the arrest and its own investigation was ongoing. The Met confirmed the number of attacks linked to the killer from results of medical examinations already undertaken in 2016 was 23. And post mortems carried out by a specialist vet following the first spate of attacks in late 2015 found those cats died from blunt force trauma. However, they also found the mutilations occurred after death with a 'sharp implement'.